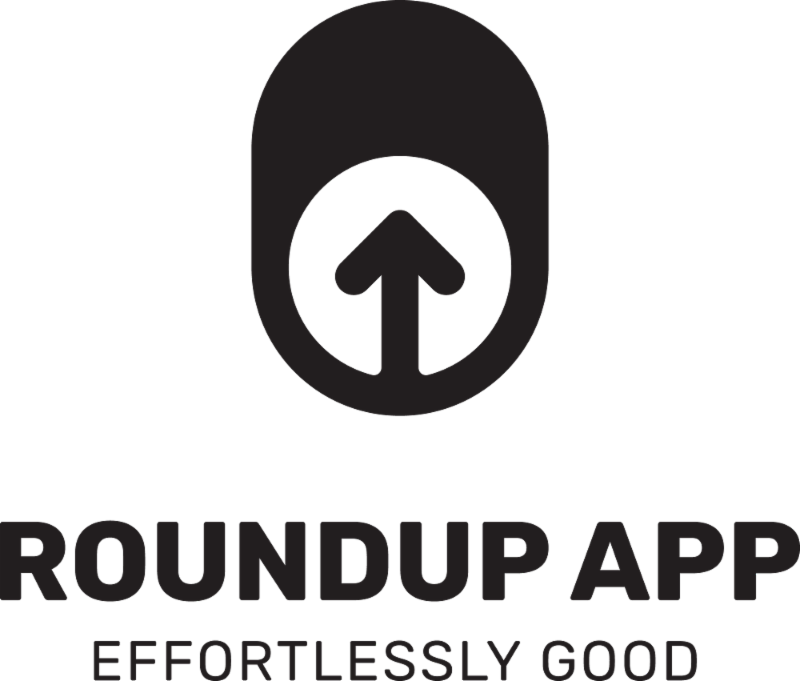 Ever feel unqualified to serve on a mission trip? Especially one to Uganda? Maybe it's because of your past or just the feeling of, "What do I have to offer?" 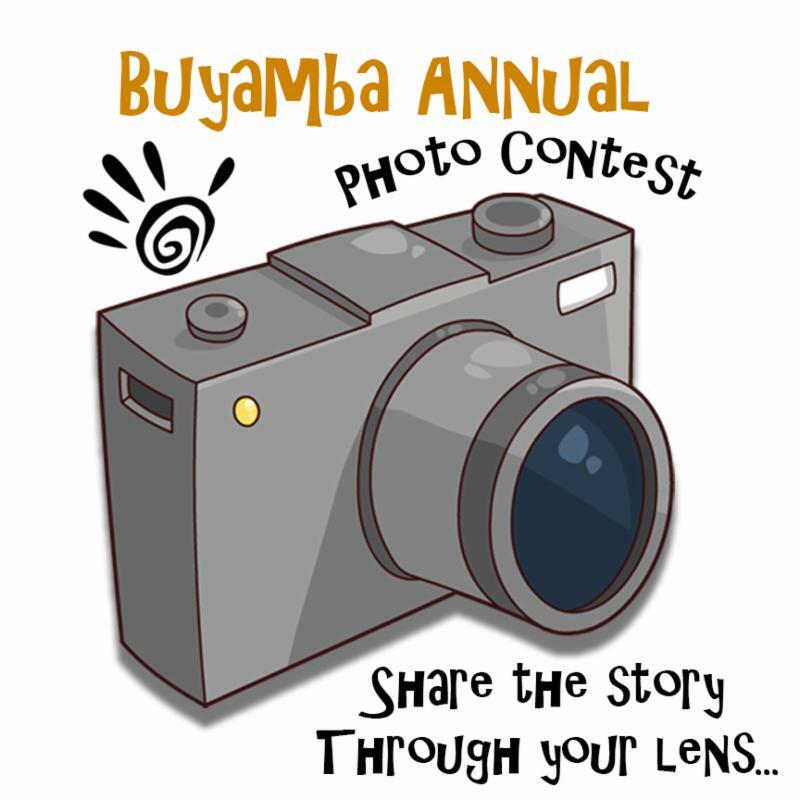 Sign up to join a Buyamba trip today! A few weeks ago, I had the honor of meeting Dennis Kilama, the Development & Partnership Administrator at ARU (African Renewal University) who is also a Pastor at Lugogo Baptist Church in Kampala, Uganda. He recently completed a Doctorate in Ministry from Africa International University. Dennis and I were meeting because God has continued to develop a healthy relationship between Buyamba at God Cares Schools in Uganda and ARU. We currently have 22 of our 93 students in higher level learning at this Christian university in Uganda, and it is our collective hope that this number will grow in years to come. The other thing that stood out to me was Dennis’s “fresh eyes” in America since it was his first time here. He was so taken by how many “things” we have, and there are “so many choices to make,” including a choice of multiple toppings on his pizza. He commented that in America, there “are too many choices.” He told us a story that when he was on his way to meet us, Dennis looked out the window of his Uber, and he saw so many things that he could not have previously imagined. He realized that everyone in America must be Christian, for they must be so thankful for all they have been given. He then turned to us and asked, “This is true, right? Everyone is Christian in this country?” When I realized he was serious, it was sad to explain that this was indeed not the case. 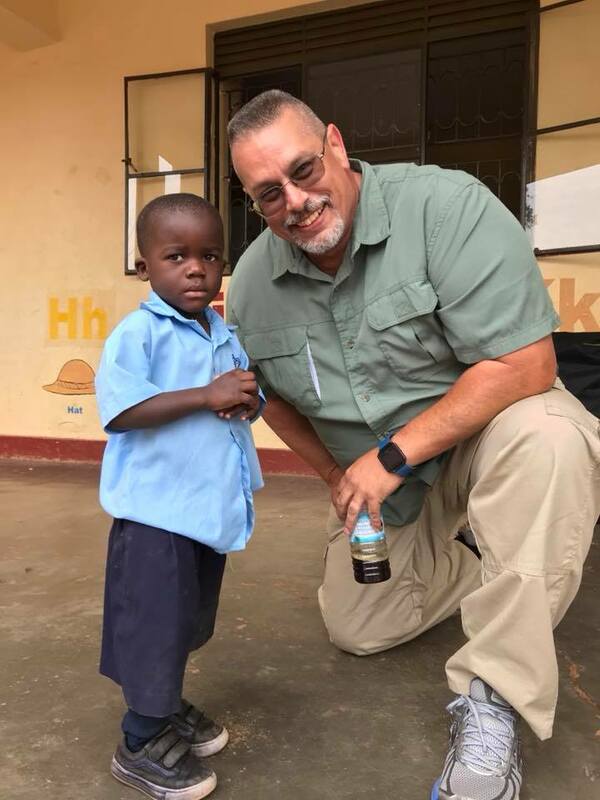 I went on to tell him that even though Uganda has much material poverty, so America has much spiritual poverty, even though there are also many people here that love the Lord. This seemed a little difficult for him to take in since he reasoned that people with so much blessing should be so grateful to God. This is often one of the insights the Lord shows an individual who travels from the U.S. to Uganda and back on any short-term mission trip. We are so very blessed in America. 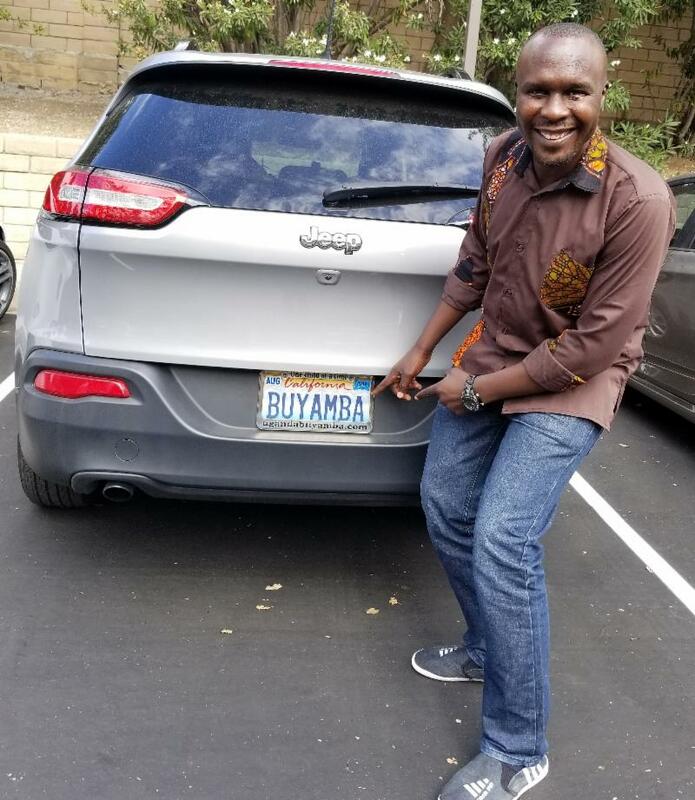 God has given us so much (even personalized license plates! 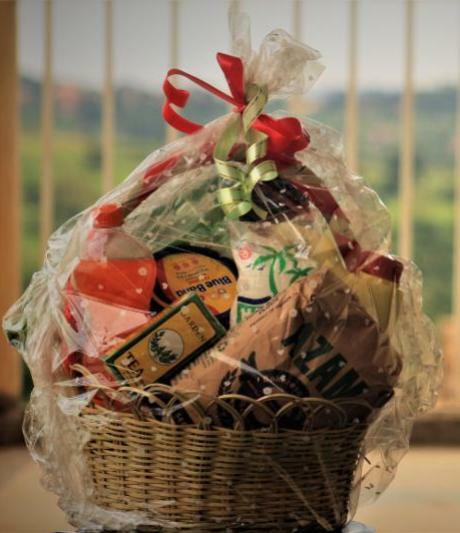 ), and it is indeed a gift to be able to provide from that place of blessing. 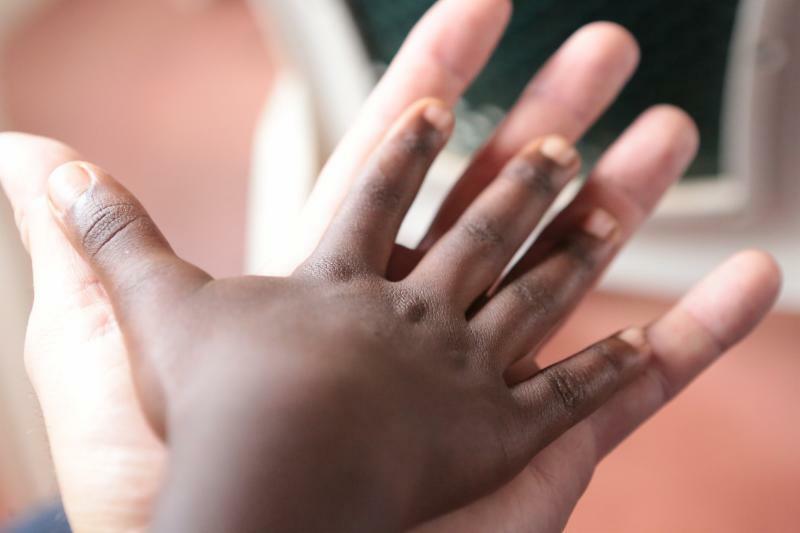 In our case, we have been given the opportunity to give to the children of Uganda, who need us so much. Josephine is 11 years old, and she has two brothers and a sister. 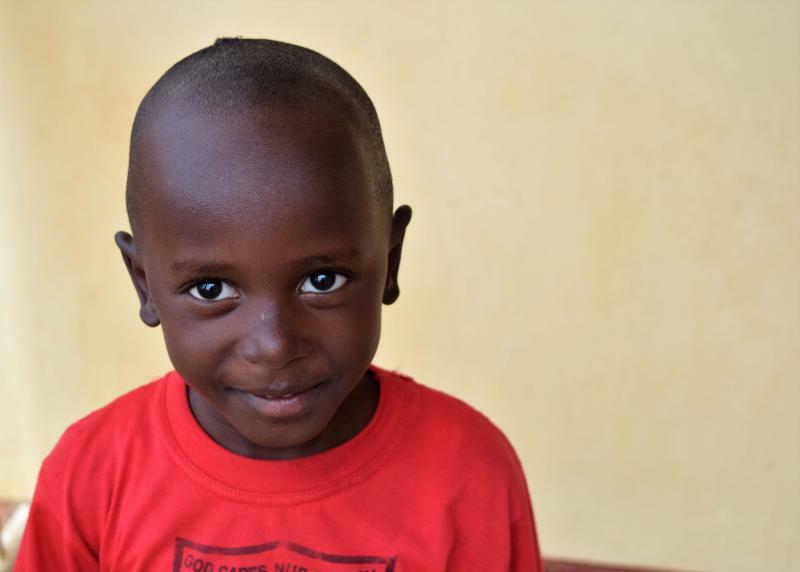 After her father left the family, Josephine and her siblings moved to live with her aunt since the mom could not afford to care for all of them. 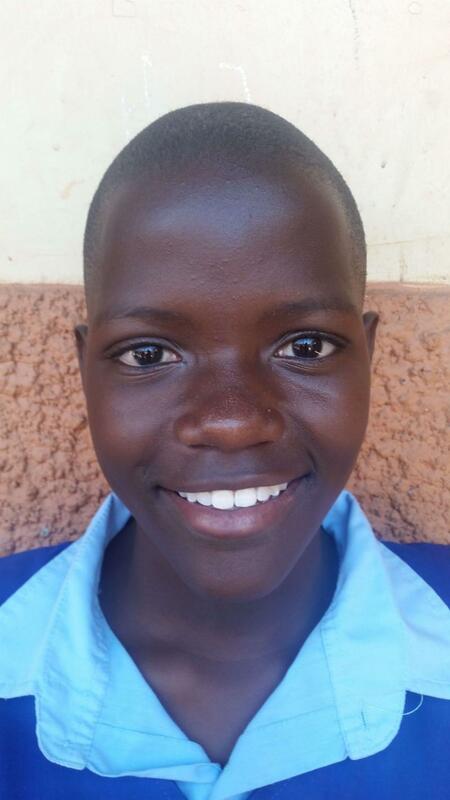 Your support would cover Josephine's school fees and empower her to have the bright future that she longs for. 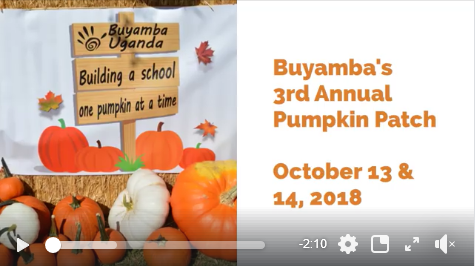 The Buyamba Pumpkin Patch was a huge success! 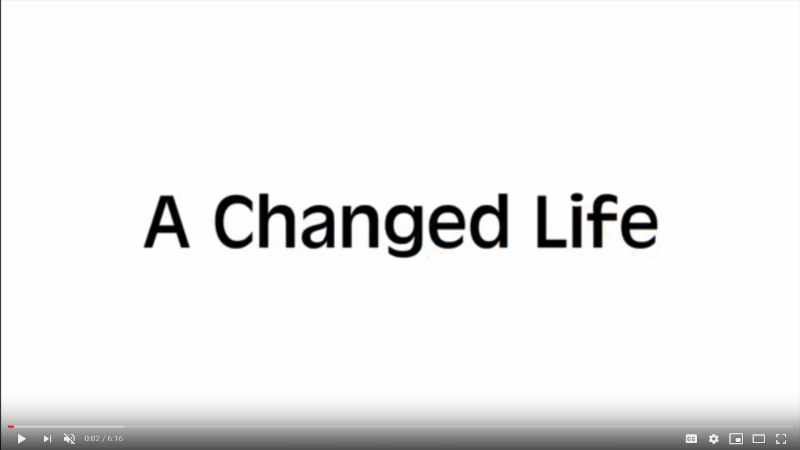 Check out the video below to see our results. Social Media is a great tool to share Buyamba with your network of people. 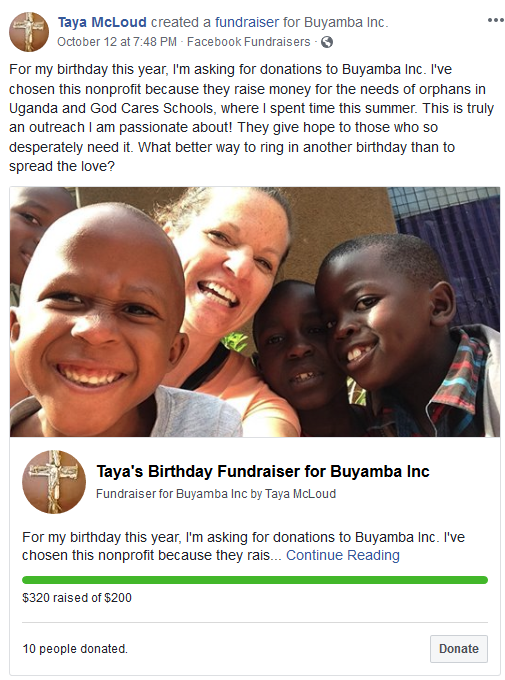 One way to give back to Buyamba is by holding your own fundraiser online!